We have already seen how the Ingleton coal field lies much lower down than it theoretically should, owing to movements along the Craven Faults. 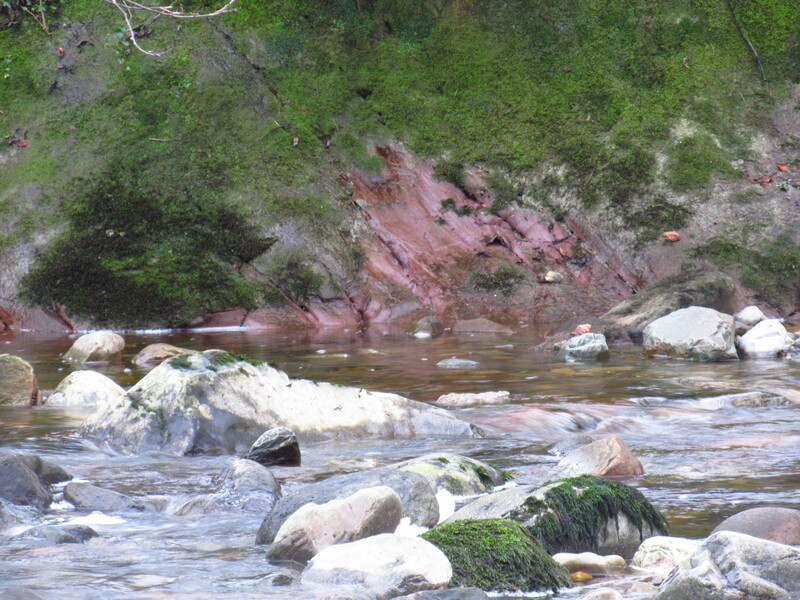 Interesting outcrops of the Coal Measures can be seen along the bed of the River Greta south of the Ingleton viaduct, where distinctly reddish, soft sandstone forms the well-known ‘red beds’- just a small part of the Coal Measures themselves. These Coal Measures were laid down in the Late Carboniferous or ‘Westphalian’ stages between 318 and 299 million years ago. Named after a region in Germany where the beds are prominent, there were five of these stages from A (the earliest) through to D (the latest) – with just the first four remaining south of Ingleton; the latter having been removed by erosion. At the start of the Westphalian, Yorkshire was warm, low-lying swamp – with large mud and sandbanks between which silt and gravel was washed into a shallow sea. This sea continually rose (‘marine transgression’) to cover the banks completely, allowing mudstones, sandstones and silts to be laid down – depending on the depth and the size of the particles deposited. This process repeated, rather like the much older Yoredales, in a series of cycles. When sea levels were shallow enough to expose the banks, plants and trees took hold and this vegetation formed the coal seams of the Ingleton coalfield. In the early Westphalian the seams were very thin as sandstone dominated, but in the later B and C stages the sea levels gradually fell and the forests took hold for longer periods, allowing thicker seams of coal to form. The ‘red beds’ seen in the Greta are the youngest visible rocks of the Carboniferous, though we must remember their overlying cover has been eroded away. It is thought that their red colour is the result of the later, very dry oxidising conditions of the Permian Period, when they formed the surface of a desert landscape. 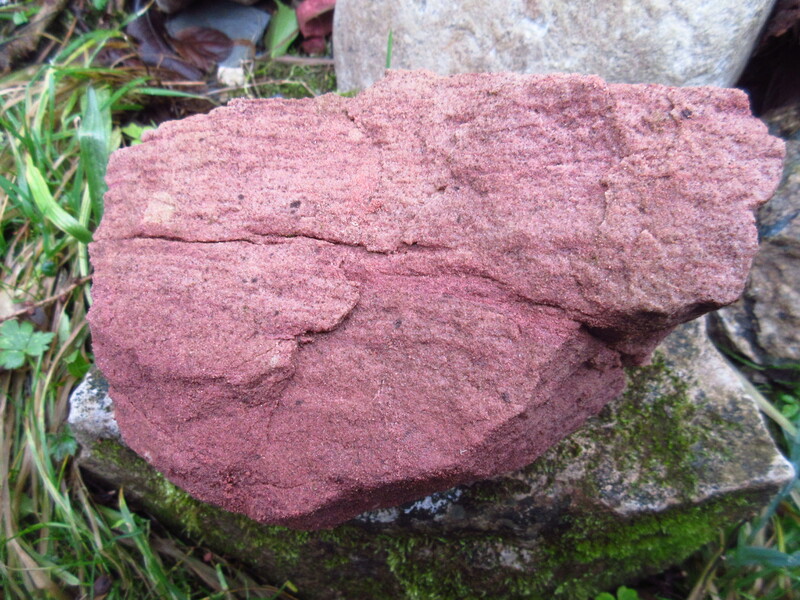 The red beds themselves contain not just sandstone, but an assorted jumble of conglomerates, breccias, mudstones, ironstones and shales. Fossils, particularly of bivalve mussels, are rich in the lower beds of the Coal Measures. These beds are exposed at Clifford Wood (SD648717) to the west of Burton – while the coal itself is exposed near Greta Bank (SD665716).